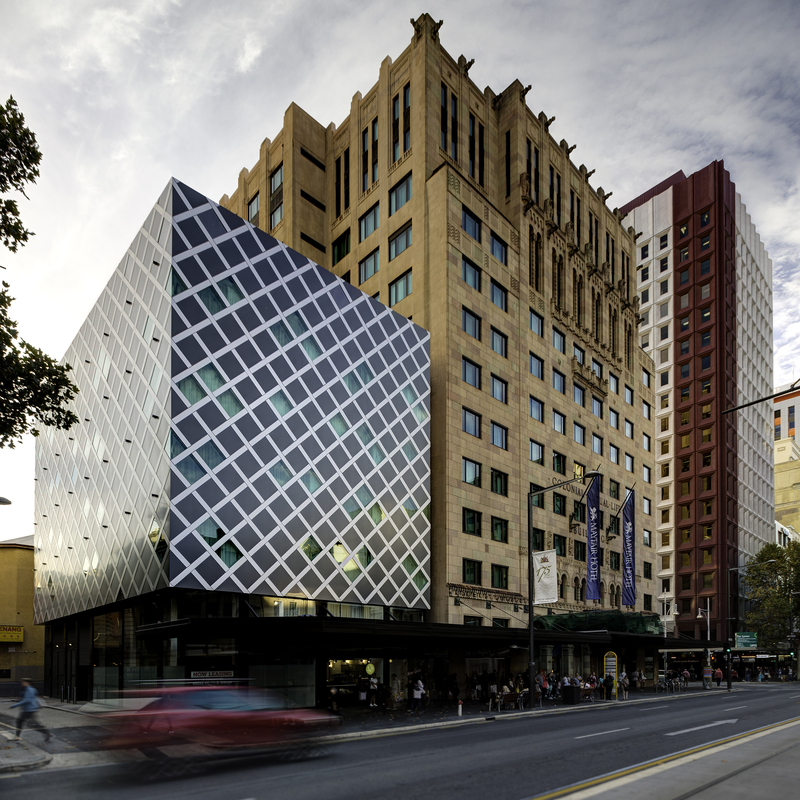 Located on the corner of King William Road and Hindley Street, The Mayfair Hotel’s ‘cube’ extension was extremely challenging by nature and presented a number of design and construction risks, with the ‘jewel box’ pattern required to align across four planes and three elevations, whilst incorporating and housing glazing, structural steel, floor slabs and external fire services. 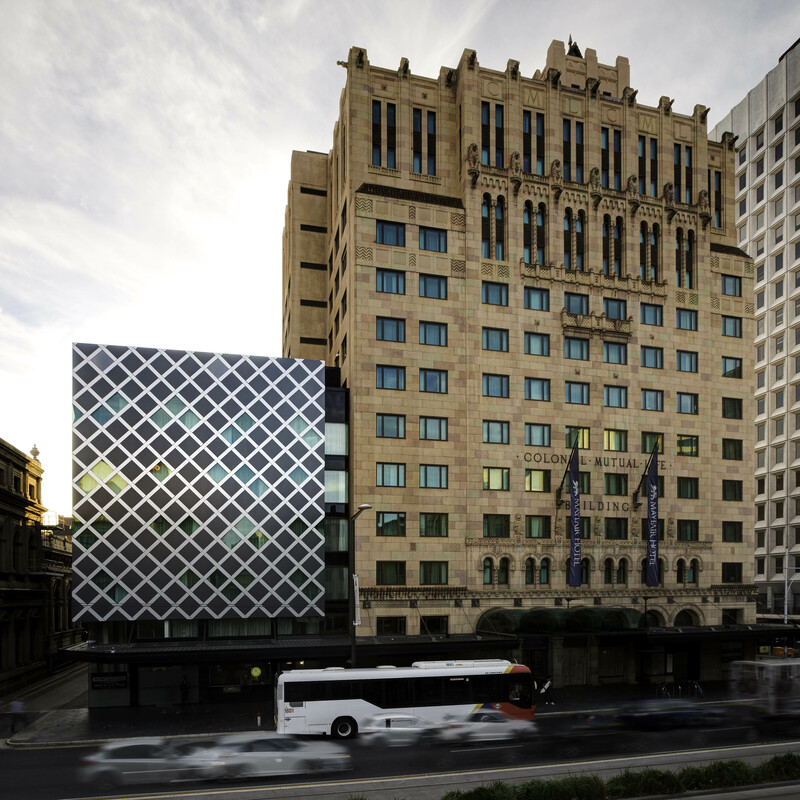 The installation used a laser cut interlocking connection system, first of its kind to be used in Adelaide, this system facilitated the intricate layered design and allowed the iconic basket weave pattern to be possible. 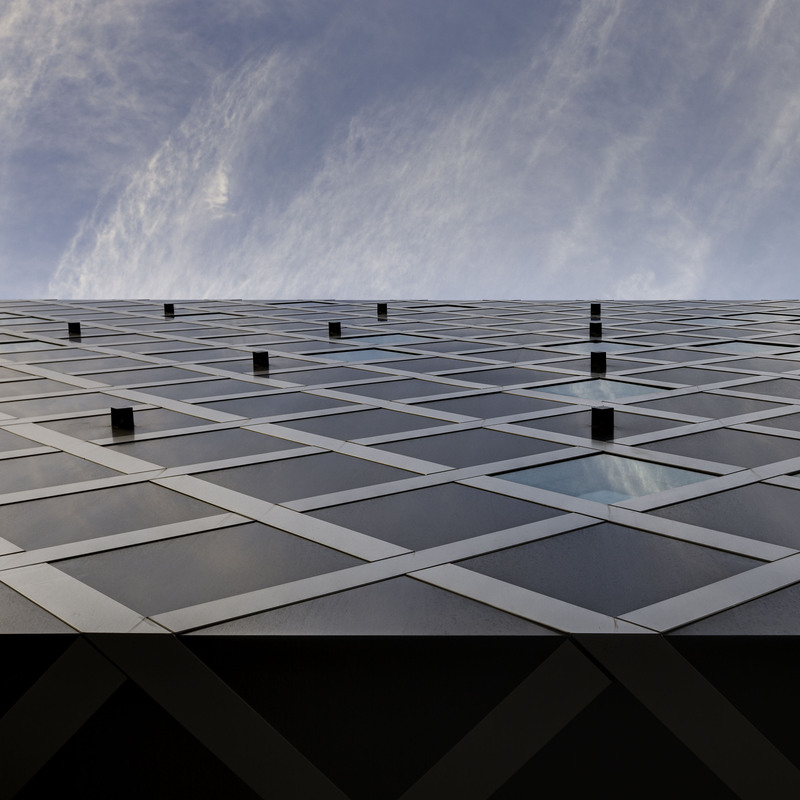 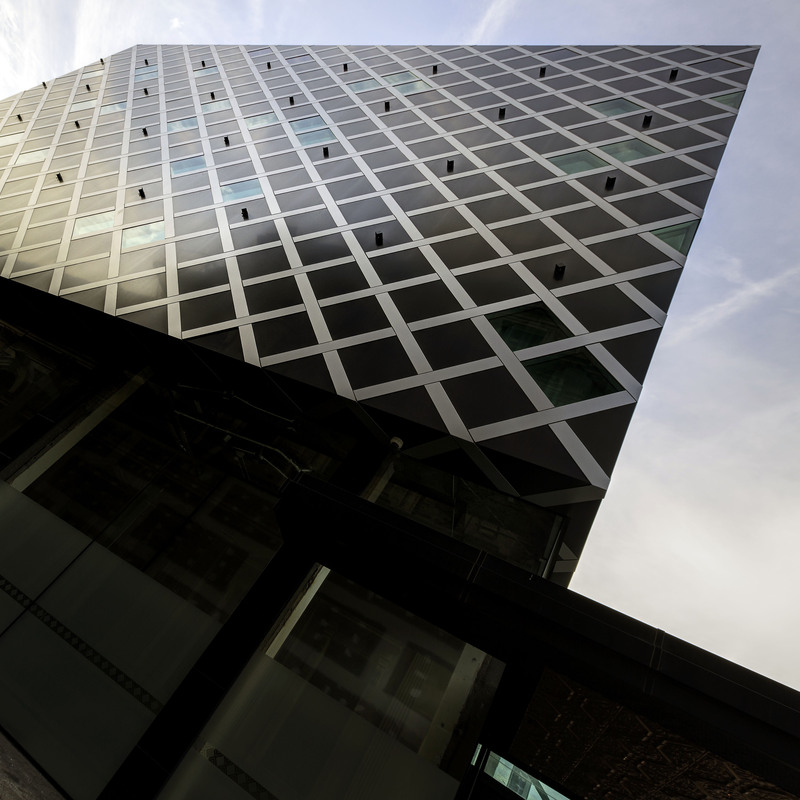 SA Construct relied heavily on their skilled drafting team to deliver a pragmatic approach to this difficult install and were a vital part of the design and success of the instillation of complex aluminium cladding.